Work for CA Single Sign-On? 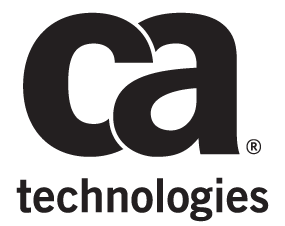 CA technologies cam up with a wonderful product for authentication, authorization and accounting, which is the siteminder. Its rock stable and no issues found at any point of time. After the upgrade from 6.0 to 12.0 we observed enormous improvement in the performance and the software is much stable as compared to other competitors in the market. Not only me, anyone would first say about what they dislike about CA siteminder is the cost. The cost of software and the cost of setup, and the cost for the support hit sky during the implementation phase. we worked on so many products but this one crossed others a par in terms of cost. Even the support is very limited and the documentation is less for this product. if you are looking for rock solid authentication software, please go with CA siteminder. We used this software for web authentication for online users. We even configured the single sign on with this software. performance was the best thing we liked. "SiteMinder - The Best of the Best"
SiteMinder simply does exactly what CA says it can do and that is to provide a solid, reliable, robust solution for Single Sign-On, Web Access Control, Identity Federation. I have no dislikes. Any feature deemed deficient by CA's clients/customers is addressed through improved product, bug fixes, customized solutions. There are very few use cases the "out of the box" product is unable to achieve. Take the time to understand your goals for the enterprise; plan for training; utilize in-house expertise and CA Support; establish a solution specification that includes requirements, integration, implementation and maintenance. Most environments have existing critical apps with Proprietary authentication, consider the cost to SSO enable old apps; factor in additional time/delays for troubleshooting complex custom web applications; get lots of performance testing feedback to tune your solution to. SSO on a global scale can be a challenge. So many factors need to be clearly understood. SiteMinder has always improved the time-to-market for web applications requiring SSO, Web Access Management, Integration with the Windows desktop, multi-factor authentication or Identity Federation, SiteMinder is the logical direction for large enterprises, Federal, State and local govts. Its features are our benefits, realized. "CA SiteMinder - Excellent product from CA Technologies"
Single Sign-On, Federation Services (That comes along with Siteminder R12 Version). SiteMinder able to authenticate and authorize using various LDAP Directories and Databases. IPCheck and SmWalker are some of the features that are very helpful. They are not only easy to setup but works well with other integrated components as well. Admin GUI for Siteminder R12 version is bit slow. CA support should look into this and come up with something better. CA Siteminder is much better than other existing SSO products available in the market. Upgrading Siteminder R6 to R12. Migration from existing R6 version to Siteminder newer version was done with lot of ease. One benefit I would like to mention is that siteminder r12 comes up with integration federation services. so we migrated our existing Oracle Identity Federation setup to Siteminder R12 Federation services. "CA Siteminder: Enterprise Security Layer showing off ease of integration, modularity, performance"
CA Siteminder, from version 12 on, has replaced its GUI (applet-style) into a web-gui: unfortunately, even though the choice has been the right one, the web-gui implementation is not, let's say, web2.0-wise. Poor implementation and no use of Ajax capabilites bring more pain in configuring Siteminder nowadays. If you need to secure a medium-big company web-tier, this is the product with a level of solid background, modularity and granularity needed in such environments. Especially Enterprise Companies' architectures, giving the customer a solid and flexible security layer upon their new as well as legacy applications, intranet and internet. "Secure access provided the easy way"
It combines the power of a reliable, identity federated single sign-on solution with the benefits of a cloud-based service with just one set of credentials.In addition, end users receive a more convenient single sign on experience that is consistent with how they access applications within their organization’s domain. 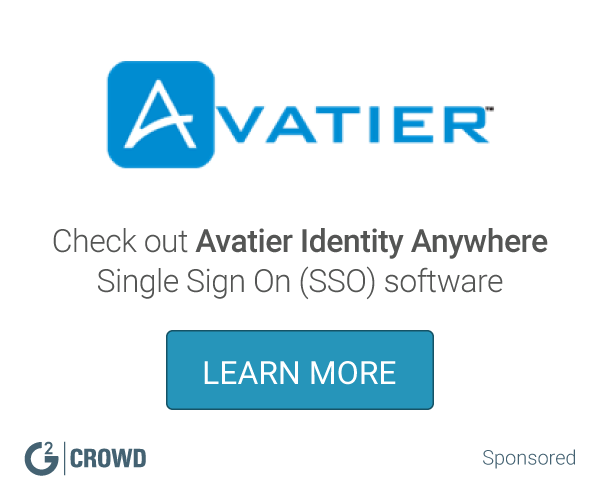 Even better, CA SSO allows visitors to use social media credentials like Facebook, Google or LinkedIn for a single login, single logoff experience with reliable federated SSO of identity attributes. There is nothing to dislike about the CA SSO service. 1) Securely deliver new online services quickly. 2) Enable secure collaboration among employees and partners. 3) Reduce the cost of security and compliance management. 4) Protect key assets from insider threats and external attacks. CA SSO lets your IT organization control single sign on and authorization to applications whether in a cloud-based federation hub, a partner-hosted application or other on-premise applications within your own organization. "Amazing Single-sign-on and Federation product." Very good architecture that scales for very high volume. Intuitive user interface (It had issues when they released R12 but it has since improved substantially). Supports strong authentication like RSA, ArcotID, etc. Can integrate with most Directories and Databases out of the box. Agents for most of the web servers, application servers, SharePoint, Peoplesoft, SAP, secure proxy server, etc. High quality 24/7 Support -- quite responsive. Widely used. A market leading product. A lot of new features are being added to latest versions to support mobile, social, agent less solutions, for Web service/ SOA support, etc. User Interface can be improved for better readability. Tighter integration with CA Directory (like Advanced AD Integration would be nice to have). Federation component has scope for improvement. Authentication, Authorization, Agent based and Federation based single sign on, Auditing for web applications hosted within the organization and business partners in the cloud. One of the best features of Siteminder is the ability to provide custom interfaces and services to allow for increase integration and flexibility of the model to adapt to business rules. We have used this to provide adaptive access management capability to back end systems. Additionally the product is designed for certification and allows for extensible authentication capabilities. The EAL Rating provides an assurance to the end users and the enterprise that security is built in by design and that it meets the requirements of secure government transactions. A poor implement and coding of a BLTH (Business Logic Task Handlers) can lock the system into a loop. There is little process flow and boundary checking conditions to stop this occurring. Ensure that you have as strong testing regime and separate test instances. There should be a greater range of web based layouts and templates available and an improved ability to customise the user and administration interface for an end client. The user interface (while it can be branded) is not easy to do and required strong developer effort. Ensure that a separate test environment is setup and reproduces the business issues to allow for controlled change management. Implementation of Attribute Based Access Control in a pan-enterprise environment to allow for business process rule management of access to information resources. The flexibility of Siteminder and the ability to extend its functionality allowed us to develop a full ABAC implementation for a major client and its partners. SiteMinder is the most widely deployed solution. It allows for a seamless user experience and is relatively straightforward to implement. Directory Chaining (a single security policy can connect an application when the user community is spread across multiple directories) is of specific use to us. This is not a specific problem with SiteMinder but when an SSO solution is not well architected it can lead to some disjointed behaviors. This can create extra support calls from users. We did an assessment of multiple companies offerings. I suggest any company should do the same. We needed Seamless Single Sign-On for multiple systems & Web applications. That's what we were able to accomplish. Very nicely integrated with current siteminder implementations. Configuration of partners and outgoing federations is simple and straight forward. Management and alerting of certificates is a bit cumbersome, some saml spec items that are marked optional are required making some implementations more complicated. Implementing SP initiated federations requires alot of custom work and interim pages , wish this was more out of the box to implement. Support could be a bit more streamlined , we waited days for analysis of a problem only to be told it was undetermined cause..
if you already use siteminder its a no brainer, if you use other products already for reverse proxy you might want to look at other options. Giving clients a seamless way to log into our products and reduce the amount of password resets. The product has accomplished this and more . "Wouldn't recommend unless you have very limited use cases"
- Utilization of Web Agents for AuthN/AuthZ within a single domain is relatively easy. - Security zones within a single domain still allows separation of SSO between different application groups. - Can handle a large number of users without requiring a huge amount of resources on the server. - Lots of out of the box features for directing users around during/after authentication and/or authorization. - Certificate based authentication does not perform full path validation or key usage checks. So if you are big on smart cards, this is definitely something to consider as it does not meet authentication standards for higher level of access. - Cookie Provider does not enforce timeouts properly across multiple domains (essentially breaks SSO after a user times out to the application). It also interferes with AJAX / other functions (can break Cognos reports as well). - Lack of proper identity mapping between multiple user directories. (a) Application objects cannot have identity mapping applied individually, only globally. (b) No mapping for Federation to generate assertions based on attributes from multiple user stores. (c) Unable to create a single "view" of a user to generate responses and authorization decisions. - Unstable with known bugs that cause Policy Server to crash. - Default header response to Web Agents return multi-valued LDAP attributes as a ( ^ ) separated string instead of separate headers. - Federation management is just bad....no other way to put it. Disjointed, clunky, and requires clicking through multiple steps for a simple Federation. If you have complex requirements you will find many things missing when comparing to other big-name WAM products. While it 'can get the job done' in a complex environment, it's far from straight-forward and lacks many features. SSO across multiple applications, domains, and federated partners. "Easy to use Federated SSO"
Users are easy to manage. Functionality is as expected. "User Friendly Identity Management Solution "
CA Siteminder provides majority of products on identity and access management space which is flexible across environment. Way user interface transition from applet to web based application is best way to give insignt of product instead of legacy technology feel. Better documentation on customize product features and web service authentication will be better. Same time if there are anything kind of demo installers that will add more advantages to product visibility to crowd. "Excellent for Access Management and SSO"
No user provisioning feature is there, CA product Support is not good. It is worthy of it, if you want a simple way of managing the access control. "Best Identity and Access Management product"
Ease of use and excellent technical support. Debugging an issue by using trace logs/ access/error logs is super easy. We mostly use Siteminder r6 and r12 for SSO and SAML federations, the top benefits I realized were ease of setting up new policies for new apps and the compatibility with most of our partners during SAML federation setup. Easy to understand, easy to implement new features by referring CA bookshelf documentation, better admin interface, easy to install and configure by just few clicks. Very less need of programming. Easy to debug logs, they are easily understandable. All type of authentication schemes are available. I have been working with this product since last 7 years. So far my experience has been really good. Have implemented single sign on for various intranet applications and also implemented federation with various partners. "Responsible for Siteminder and Siteminder Federation." Simplicity and the possibility to do everything from a single interface. To sensible on network issues, it made the Policy Server to be stucked and only the restart of the service. Try to see all the features that the product have, it will give a very large variety. Everything that is related with Siteminder and Siteminder Federation in the company. "Identity and Access management specialist"
With Any access management tool like Siteminder you can give SSO experience to customer along with secure environment. "Perfect for an enterprise single signon solution"
C++ code so JNI interaction for custom plugins (even though there is a Java interface). controls access to web resources, providing authentication management, policy-based authorization. "having more than 2 year experience with CA site Minder and CA Siteminder Federation module"
So many configuration required for setup environment. Achieving SSO and federation using CA siteminder product. "My office security sign on way"
Full blown Web Access Management Suite with all features included. Learning about CA Single Sign-On? * We monitor all CA Single Sign-On reviews to prevent fraudulent reviews and keep review quality high. We do not post reviews by company employees or direct competitors. Validated reviews require the user to submit a screenshot of the product containing their user ID, in order to verify a user is an actual user of the product. Hi there! Are you looking to implement a solution like CA?